EIT Climate-KIC in Italy develops sustainable innovations with a portfolio of programmes and activities to enable them to reach the market. 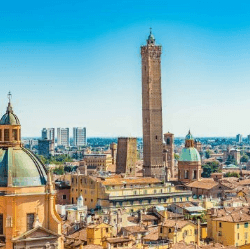 Climate-KIC Italy is based in the National Research Council of Bologna, the capital city of Emilia-Romagna Region and supports 36 partners, among public bodies, companies, start-ups, research and academia. 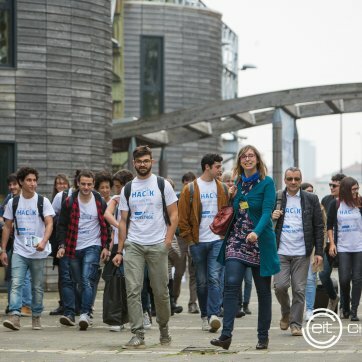 The aim is to develop human capital in Italy, research the innovation, design strategies and projects able to mitigate and adapt to climate change, in harmony with the largest European community of EIT Climate-KIC. The Italian team works side by side with partners and entrepreneurs, researchers, public administrators and stakeholders, sharing knowledge and driving engagement to tackle climate change. We encourage new ideas, whether they come from large companies, academia or public bodies, from start-ups or individual entrepreneurs. Discover all the activities and the news on the climate-economy and innovations in Italy! Are you the next climate leader? If you are an activist planning to build a prosperous and safe society for all, we are searching for you! Be the leader of the future. Join our Climathon movement across the world.